Installing and configuring the Red Hat Virtualization Manager. Attaching existing FCP storage to your Red Hat Virtualization environment. More storage options can be found in the Administration Guide. To avoid potential timing or authentication issues, configure the Network Time Protocol (NTP) on the hosts, Manager, and other servers in the environment to synchronize with the same NTP server. See Configuring NTP Using the chrony Suite and Synchronizing the System Clock with a Remote Server in the Red Hat Enterprise Linux 7 System Administrator’s Guide. For information about the requirements of a Red Hat Virtualization system, see Requirements in the Planning and Prerequisites Guide. By default, engine-setup creates and configures the Manager database locally on the Manager machine. Alternatively, you can configure the Manager to use a remote database or a manually-configured local database; however, you must set up that database before running engine-setup. To set up a remote database see Appendix D, Preparing a Remote PostgreSQL Database . To set up a manually-configured local database, see Appendix E, Preparing a Local Manually-Configured PostgreSQL Database for Use with the Red Hat Virtualization Manager. Optionally allow engine-setup to configure the Image I/O Proxy (ovirt-imageio-proxy) to allow the Manager to upload virtual disks into storage domains. See Uploading a Disk Image to a Storage Domain in the Administration Guide for more information. If you select the default (No), no further action is required here. Install the certificate authority according to the instructions provided by your browser. You can get the certificate authority's certificate by navigating to http://your-manager-fqdn/ovirt-engine/services/pki-resource?resource=ca-certificate&format=X509-PEM-CA, replacing your-manager-fqdn with the fully qualified domain name (FQDN) that you provided during the installation. The list of alternate host names needs to be separated by spaces. You can also add the IP address of the Manager to the list, but using IP addresses instead of DNS-resolvable host names is not recommended. Keep the environment up-to-date. See https://access.redhat.com/articles/2974891 for more information. Since bug fixes for known issues are frequently released, Red Hat recommends using scheduled tasks to update the hosts and the Manager. The next chapter contains additional Manager related tasks which are optional. If the tasks are not applicable to your environment, proceed to Part II, “Installing Hosts”. Install the Manager packages on the offline system. See Section 2.2, “Installing the Red Hat Virtualization Manager Packages” for instructions. Packages are installed from the local repository, instead of from the Content Delivery Network. Configure the Manager. See Section 2.3, “Configuring the Red Hat Virtualization Manager” for initial configuration instructions. Red Hat Enterprise Linux hosts subscribed to the appropriate entitlements can be used as hosts. When you create a new data center, you can set the compatibility version. Select the compatibility version that suits all the hosts in the data center. Once set, version regression is not allowed. 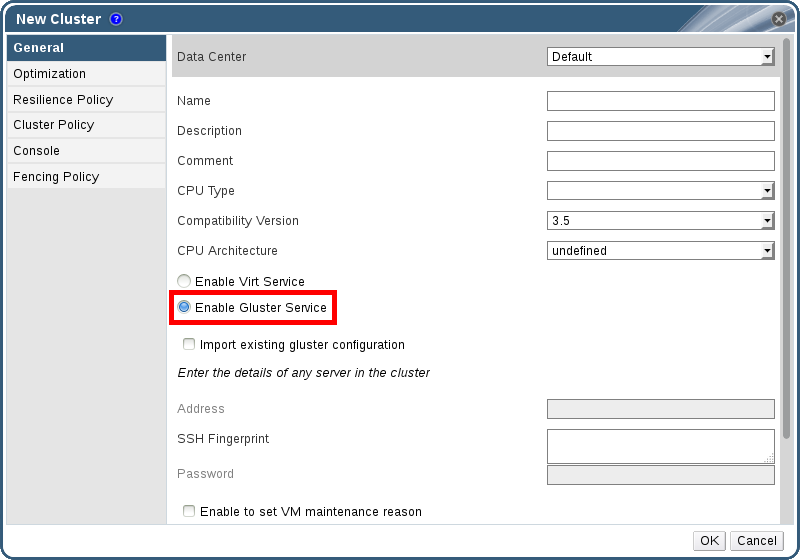 For a fresh Red Hat Virtualization installation, the latest compatibility version is set in the default data center and default cluster; to use an earlier compatibility version, you must create additional data centers and clusters. For more information about compatibility versions see Red Hat Virtualization Manager Compatibility in the Red Hat Virtualization Life Cycle. Importing RHVH images into Satellite from configured repositories is not supported. Before you proceed, ensure the machine on which you are installing RHVH meets the hardware requirements listed in Host Requirements in the Planning and Prerequisites Guide. 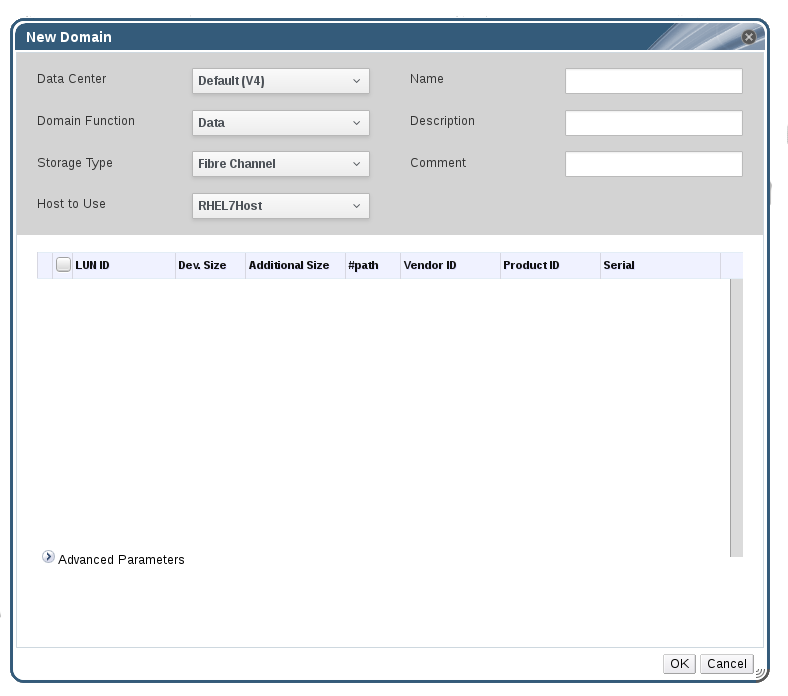 Once the installation is complete, log in to the Cockpit user interface at https://HostFQDNorIP:9090 to subscribe the host to the Content Delivery Network. Navigate to the Subscriptions sub-tab, click Register System, and enter your Customer Portal username and password. The system automatically subscribes to the Red Hat Virtualization Host entitlement. Do not create a separate partition for /usr. Doing so will cause the installation to fail. /usr must be on a logical volume that is able to change versions along with RHVH, and therefore should be left on root (/). For information about the required storage sizes for each partition, see Storage Requirements in the Planning and Prerequisites Guide. The /boot directory should be defined as a standard partition. The following example demonstrates how to configure manual partitioning in a Kickstart file. See Section 5.2.2, “Automating Red Hat Virtualization Host Deployment” for more information on RHVH Kickstart files. If you use logvol --thinpool --grow, you must also include volgroup --reserved-space or volgroup --reserved-percent to reserve space in the volume group for the thin pool to grow. This procedure also includes example files for use with Red Hat Satellite. The squashfs.img file is located at /tmp/usr/share/redhat-virtualization-host/image/. Ensure that you copy the RHVH boot images to the /tftpboot directory. The following is an example of a boot loader label that uses information from Red Hat Satellite to provision the host. You must create a global or host group level parameter called rhvh_image and populate it with the directory URL where the ISO is mounted or extracted. The --no-home option does not work in RHVH. This is an expected behavior, because /home is a required directory. If your installation requires manual partitioning instead, see Section 5.2.1, “Custom Partitioning” for a list of limitations that apply to partitions, and an example of manual partitioning in a Kickstart file. The following is an example of a Kickstart file that uses information from Red Hat Satellite to configure the host network and register the host to the Satellite server. You must create a global or host group level parameter called rhvh_image and populate it with the directory URL to the squashfs.img file. ntp_server1 is also a global or host group level variable. To be used as a virtualization host, make sure the Red Hat Enterprise Linux host meets the hardware requirements listed in Host Requirements in the Planning and Prerequisites Guide. The host must also be registered and subscribed to a number of entitlements using Subscription Manager. Follow this procedure to register with the Content Delivery Network and attach the Red Hat Enterprise Linux Server and Red Hat Virtualization entitlements to the host. Once you have subscribed the host to the required entitlements, proceed to Chapter 7, Adding a Host to the Red Hat Virtualization Manager to attach your host to your Red Hat Virtualization environment. You can install a Cockpit user interface for monitoring the host's resources and performing administrative tasks. By default, when adding a host to the Red Hat Virtualization Manager, the Manager configures the required firewall ports. See Chapter 7, Adding a Host to the Red Hat Virtualization Manager for details. However, if you disable Automatically configure host firewall when adding the host, manually configure the firewall according to Host Firewall Requirements in the Planning and Prerequisites Guide. You can log in to the Cockpit user interface at https://HostFQDNorIP:9090. Select the Discard After Delete check box to enable the discard after delete option. This option can be edited after the domain is created. This option is only available to block storage domains. You can configure a PostgreSQL database on a remote Red Hat Enterprise Linux 7 machine for the Red Hat Virtualization Manager or for Data Warehouse. By default, the Manager's configuration script, engine-setup, creates and configures the Manager database locally on the Manager machine. For automatic database configuration, see Section 2.3, “Configuring the Red Hat Virtualization Manager”. To set up the Manager database with custom values on the Manager machine, see Appendix E, Preparing a Local Manually-Configured PostgreSQL Database for Use with the Red Hat Virtualization Manager. You should set up a Manager database before you configure the Manager; you must supply the database credentials during engine-setup. The Data Warehouse's configuration script offers the choice of creating a local or remote database. However, situations may arise where you might want to prepare a remote database for Data Warehouse manually. Use this procedure to configure the database on a machine that is separate from the machine where the Manager is installed. Optionally, set up SSL to secure database connections using the instructions at http://www.postgresql.org/docs/9.6/static/ssl-tcp.html#SSL-FILE-USAGE. Optionally configure a local PostgreSQL database on the Manager machine to use as the Manager database. By default, the Red Hat Virtualization Manager's configuration script, engine-setup, creates and configures the Manager database locally on the Manager machine. For automatic database configuration, see Section 2.3, “Configuring the Red Hat Virtualization Manager”. To configure the Manager database on a machine that is separate from the machine where the Manager is installed, see Appendix D, Preparing a Remote PostgreSQL Database . This section describes how to install and configure the websocket proxy on a separate machine that does not run the Manager. See Section 2.3, “Configuring the Red Hat Virtualization Manager” for instructions on how to configure the websocket proxy on the Manager. Ensure that the host hardware meets the requirements for PCI device passthrough and assignment. See PCI Device Requirements in the Planning and Prerequisites Guide for more information.